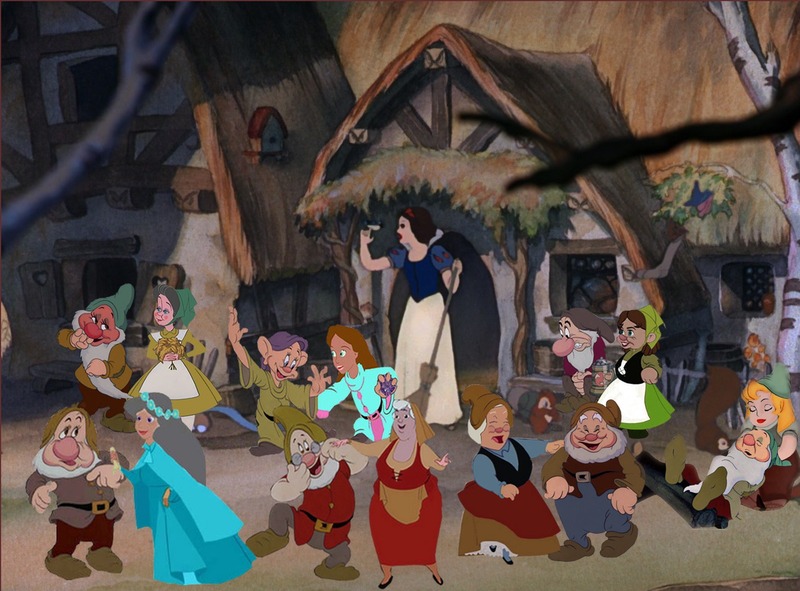 Seven Brides for Seven Dwarfs. It's finally done. Credit: Bashful, wife's name marigold kwa Me, Sneezy wifes Balinda kwa TheCrystalRing Doppies wife Ditzy kwa bugbyte98, Docs wife Varyan kwa Lena-t, Happys wife Giggles kwa Me Grumpys wife Mina kwa EmberLee Sleepys wife Lullaby chesire. HD Wallpaper and background images in the Disney crossover club tagged: disney crossover snow white oc.